Hello! I’m Megan and I blog over at Homemade Ginger where I love to share all about modern craft tutorials, home decor projects and the occasional recipe that make life a little more beautiful. Can you believe that the Christmas season is already here? As I was walking into Costco with my daughters last week, we were bombarded with holiday lights, giant wreaths, moving reindeer and more. My 8 year old exclaimed “we barely got through Halloween and now it’s all about Christmas! What about Thanksgiving? ?” I had to laugh because it was such a grown-up comment to come out of her mouth. I’ve gotta admit, there is something magical about all the festive decor that gets me in the mood every year, even if it’s well before Thanksgiving. 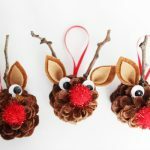 Needless to say, I’m excited to already be whipping up some Christmas crafts and I have a fun one to share with you today! 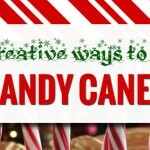 I’m all about holiday decor that is easy to create and can be done very inexpensively. Last year, I made a giant DIY Christmas wreath out of a hula hoop for a big impact on a small budget. 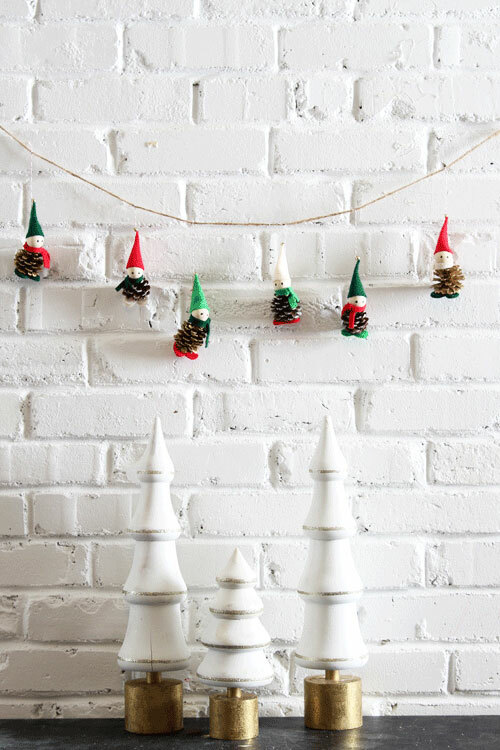 However, this time around, I’m loving the small decor details like these adorable little elves. 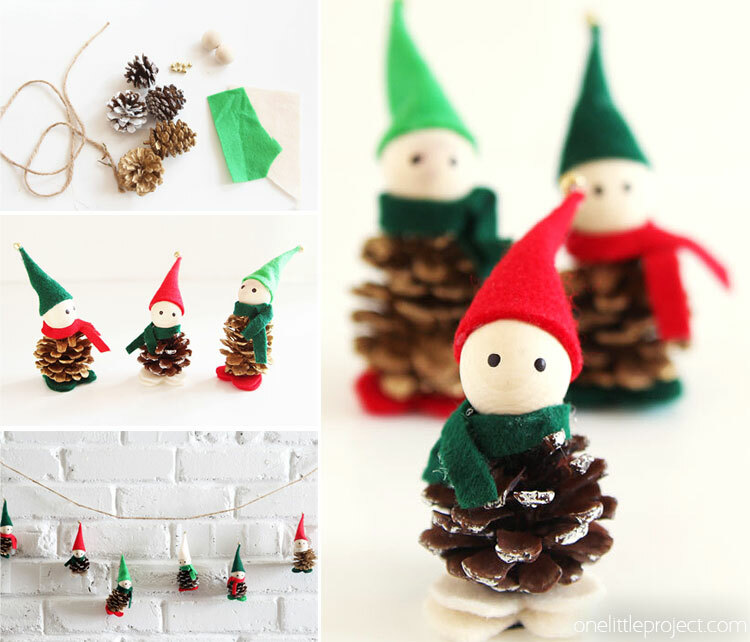 When thinking about some easy Christmas decor ideas, I came across some tutorials for pinecone elves, like these from Martha Stewart on Pinterest. 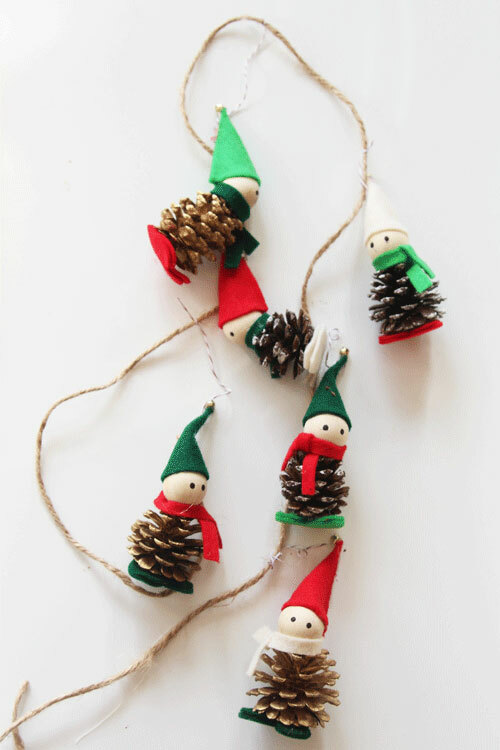 I thought these little guys were so adorable, but would be even cuter as a garland! I was also thrilled to come up with a DIY decor project that is easy enough for kids to help make, but also cute enough to proudly display in your home. One of my favorite things about these elves is how versatile they are. 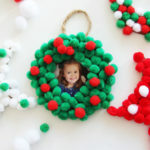 Not only can they be tied on the tree for an ornament, but you can also tie them on some twine as a garland. You could even just set them out and let the kids play with them! I found some gold and white dipped pinecones at the craft store and thought they would be the perfect way to jazz up this project. 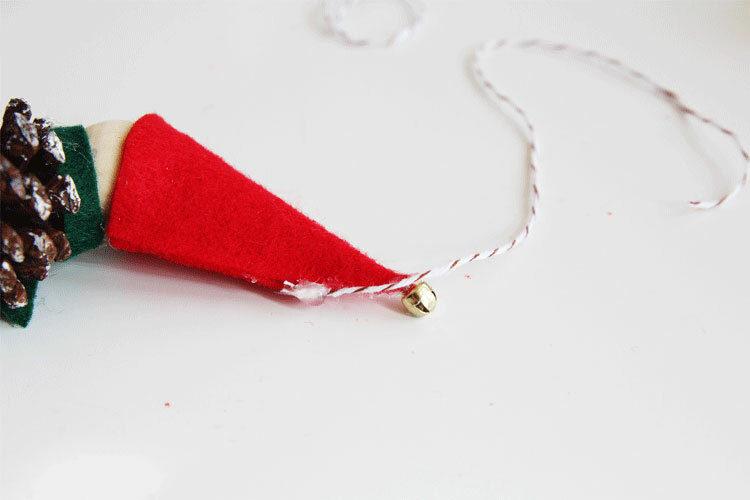 The first thing you want to do is cut out your pieces for the hat, shoes and scarf out of the felt. 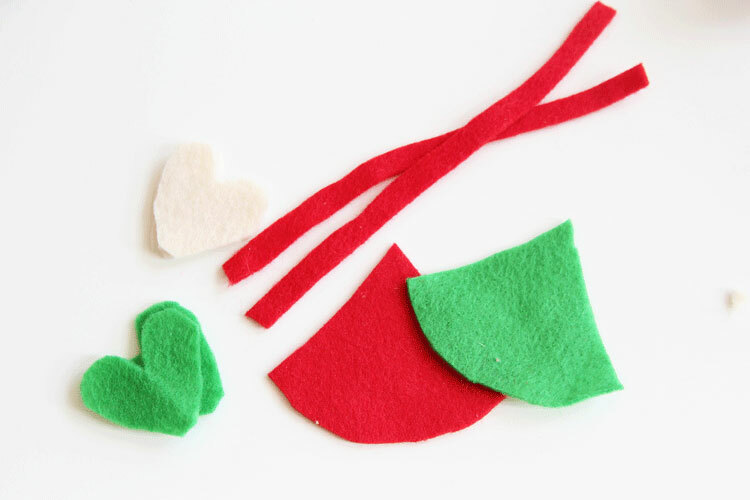 Each elf will need two heart shaped pieces for the feet, a rounded triangle for the hat and a long skinny rectangle for the scarf. Depending on the size of your pinecones, you may need to play around with the shapes and sizes until you like how they fit. 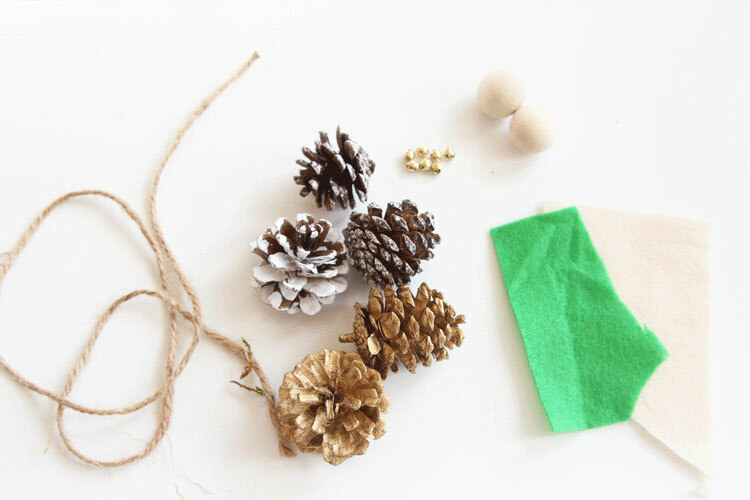 Glue the wooden ball on top of the pinecone using the hot glue gun. 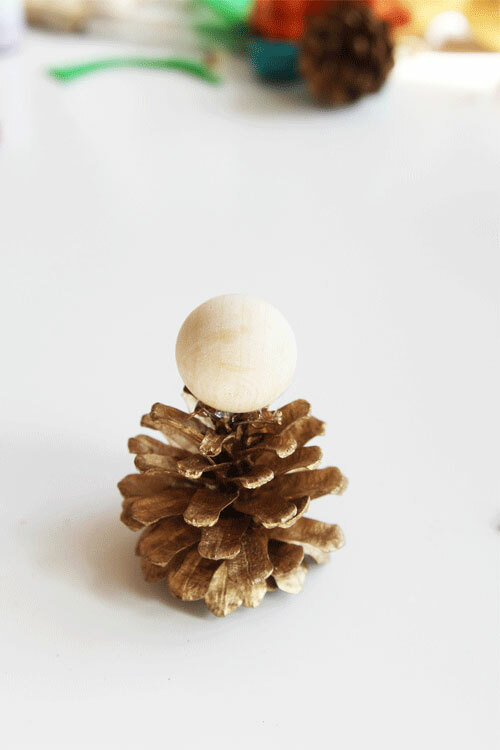 You may need to break off a few pieces of the top of the pinecone to get a flat surface for the ball to sit on. Don’t worry if any glue is showing, it will be covered up by the scarf later. Attach the tiny bell to the top of the hat. Glue the hat to the head and wrap the scarf around the head, securing with more hot glue. 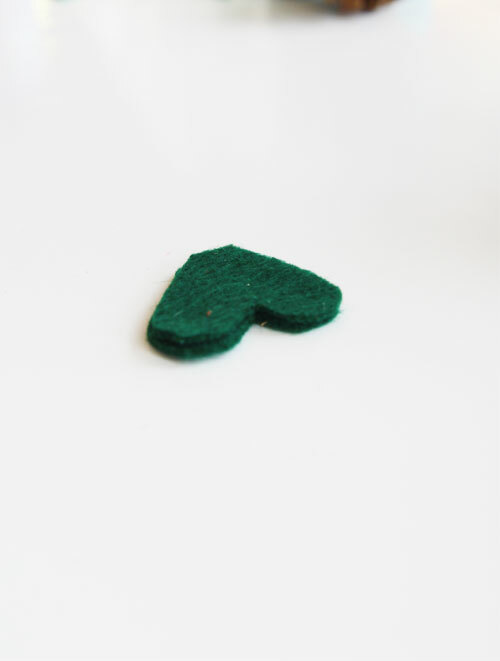 Next, sandwich the 2 pieces of felt hearts and glue them together. 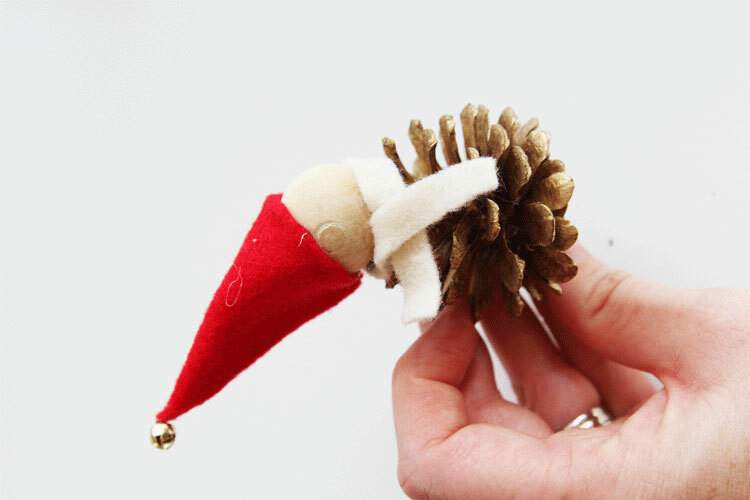 Attach this to the bottom of the pinecone for the elf feet. Add 2 small dots with black paint for the eyes. Lastly, attach a piece of string to the back of the hat. Tie the string on a piece of twine to make a garland. Or tie it directly on the tree for an ornament! 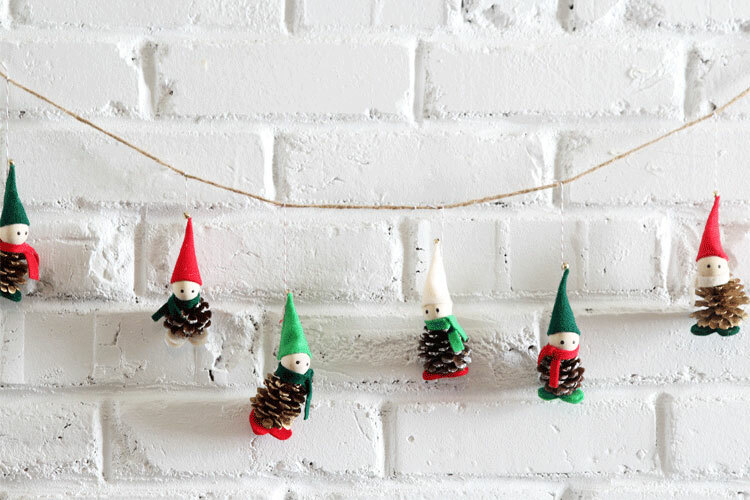 Hang these little guys anywhere you want to add some festive charm into your decor! It’s such a simple little project that can really add some personality into your home this Christmas season. 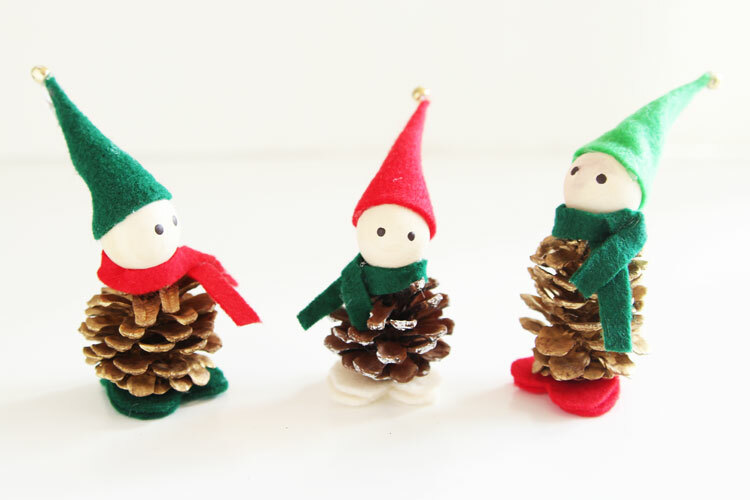 Make these easy pinecone elves and add them to a simple garland or tie them directly onto the tree for a sweet ornament! Cut out the shapes needed for the hat, scarf and shoes. Glue the ball onto the top of the pinecone. 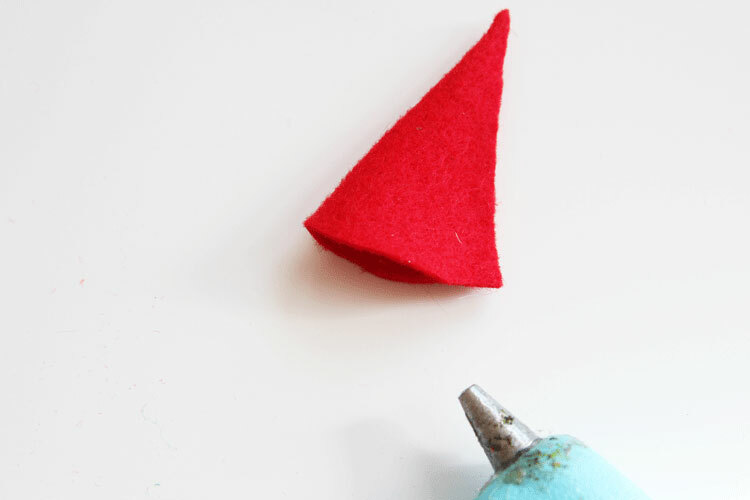 Fold the rounded triangle in half and add a tiny bead of glue down the seam to form the hat. Add the tiny bell to the top of the hat and glue it onto the wooden ball. Wrap the scarf around the head and attach with more hot glue. Sandwich 2 heart shaped pieces of felt together for the shoes and attach to the bottom of the pinecone with hot glue. Add 2 tiny dots of paint for the eyes. Finally, glue a piece of string to the back of the hat. 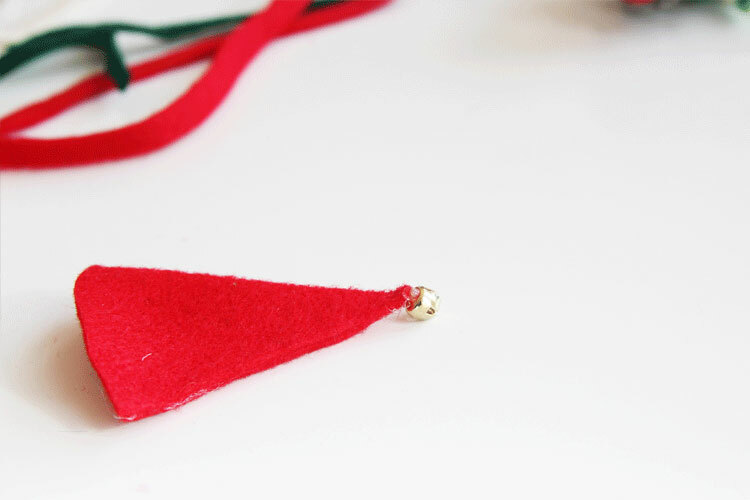 Tie the elves onto a piece of twine for a garland or directly onto the tree for an ornament. I just love how these little elves turned out. They can add such a charming detail to any room this holiday season. I can picture them hanging across the mantle, in front of a mirror or even on a wreath! 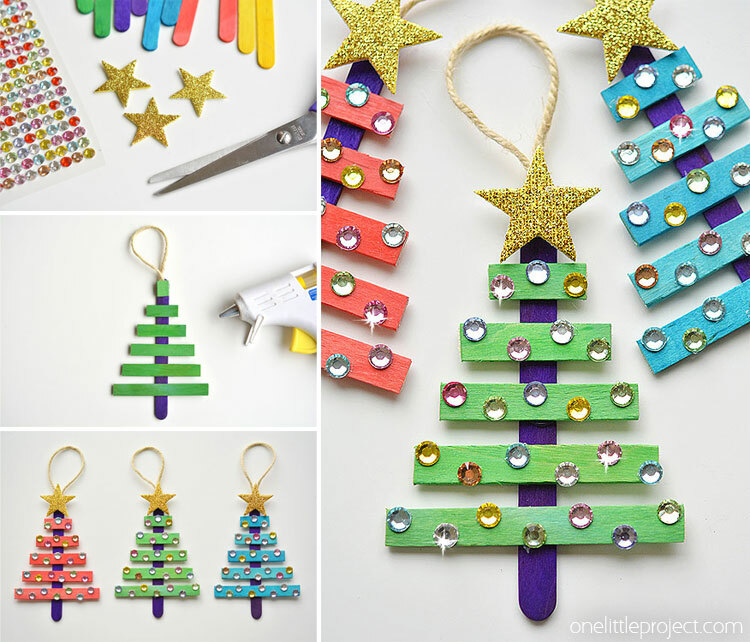 If you’re looking for more fun and easy Christmas craft ideas, be sure to check out our Popsicle Stick Christmas Trees! 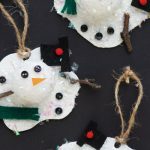 They are super cute and the kids loved helping me make them!